and state public utility commissions nationwide. • Listed among The Best Lawyers in America© in the field of Communications. • Recognized as a Washington D.C. SuperLawyer©. • Federal Communications Bar Association Co-Chair, twelve years running. Andy works with clients to develop and advocate positions on both national and state-specific issues. Andy represents companies in commercial litigation and arbitration, advises clients on strategic planning and policy issues, and negotiates intercarrier, end user and transactional agreements. He regularly participates in transactional and policymaking proceedings addressing, for example, broadband, intercarrier compensation, VoIP regulation, access to network elements, USF, carrier metrics and performance assurance. Andy previously served as Session Counsel to the New York Public Service Commission, where he reviewed and coordinated all session items presented for consideration in each of the five industries regulated by the commission. He worked closely with the Chairman to develop and implement pro-competitive policies, and ensure consistency with the goals of the agency in key areas such as local exchange competition, broadband deployment, cable regulation, BPL and energy deregulation. Andy conducted Director-level meetings to coordinate commission sessions and brief Commissioners on all items under consideration. Prior to being appointed Session Counsel, Andy led the review of Verizon’s compliance with the market-opening mandates of Section 271 of the Telecom Act of 1996, implementing policies to facilitate local exchange and broadband competition. He negotiated and drafted the landmark Section 271 Pre-filing Statement, conducted weeks of hearings, and was instrumental in the creation of the seminal Performance Assurance Plan. Andy also served as counsel to the PSC team reviewing the Bell Atlantic/NYNEX merger, and coordinated Telecom Act implementation with attorneys at the FCC, U.S. Department of Justice, and other state commissions. Prior to launching Klein Law Group, Andy was with DLA Piper, one of the largest law firms in the world with over 4,000 attorneys in 70+ offices worldwide. Before joining DLA Piper, Andy was associated with Kelley Drye & Warren, that had one of the largest law firm telecom practices. 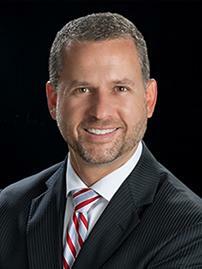 Andy is a 1992 graduate of Albany Law School of Union University, and received undergraduate degrees in Economics and Government from Clark University. Andy authored a book chapter on Telecom Settlements & Negotiations, and speaks regularly at conferences and seminars across the United States addressing important legal, regulatory, contractual and operational issues. Andy is admitted to practice in New York, New Jersey and the District of Columbia, before many federal courts, and the U.S. Supreme Court. National Conference of Regulatory Attorneys, Federal Communications Developments Under Trump Administration, Chicago, Illinois, April 25, 2018. Federal Communications Bar Association CLE, The State of VoIP, Washington, D.C., Feb. 13, 2018. New York State Bar Association Annual Public Utility Law Institute, FCC Open Internet – Federal and State Implications, Albany, N.Y., April 6, 2016. National Association of Regulatory Utility Commissioners (NARUC) Summer Meetings, New York PSC Communications Study Proceeding, New York, N.Y., July 14, 2015. National Conference of Regulatory Attorneys, Tug of War or Game Over? State Versus Federal Telecommunications Jurisdiction, Park City, Utah, June 15, 2015. Federal Communications Bar Association CLE, State PUC Practice for FCC Lawyers: Avoiding the Pitfalls and Sharing Best Practices, Washington, D.C., February 17, 2015. New York State Bar Association Annual Public Utility Law Institute, Recent Developments in the Telecommunications Industry, Albany, N.Y., October 17, 2014. Federal Communications Bar Association CLE, 10th Circuit Upholds FCC’s Universal Service and Inter-Carrier Compensation Transformation Order: What Next? Washington, D.C., July 1, 2014. Federal Communications Bar Association, How States Measure Competition, Washington D.C., February 10, 2014. Federal Communications Bar Association CLE, Reforms to Modernize Intercarrier Compensation/Universal Service to Transition to Broadband, Washington, D.C., September 19, 2011. New York State Bar Association Annual Public Utility Law Institute, Evolving Legal Issues Surrounding Smart Grid, Albany, N.Y., May 19, 2011.